You may remember the February 2015 column about my failed bitcoin mining experiment. Over the previous four months I’d mined one bitcoin, and the point of that column was that my experiment in mining was a flop. 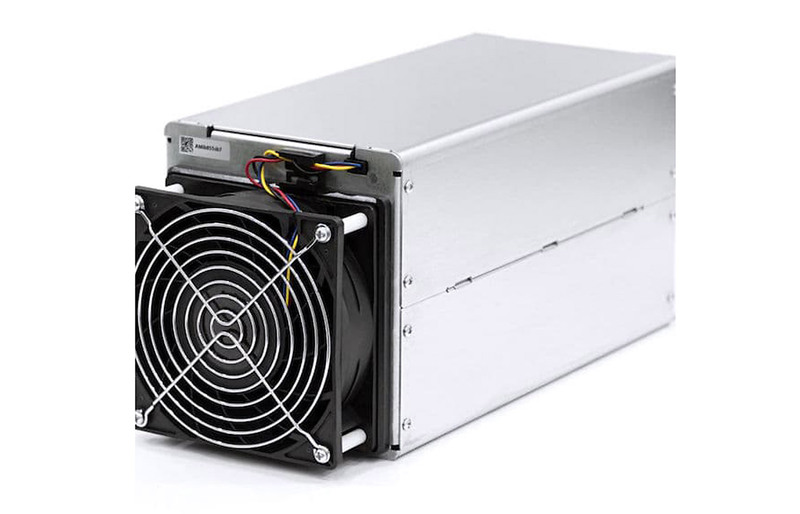 That’s because I paid $620 for my miner, but the price of a bitcoin had gone down to around $200. My story ended well, though: the following year the price went back up, and I sold my one bitcoin at a profit of $300. I was pleased. If only I’d kept it. Last December the price of bitcoin went up to nearly $20,000. Had I waited and sold it then, you’d see me driving a new car today. Here’s a refresher: bitcoin was the first cryptocurrency—a currency that exists only as software on a computer or smartphone. Bitcoin was launched in 2009 by the pseudonymous Satoshi Nakamoto, and additional bitcoins come into existence through a “mining” process in which computers are used to solve difficult mathematical problems. In addition, as more bitcoins are mined, the more difficult the problems get—until a maximum of 21 million bitcoins are created. I started out mining .01 bitcoin per day, but three months later that had dropped to .004. I was earning less than the cost of the electricity for my miner. Today it’s estimated that worldwide it takes about 350 megawatts of electricity to mine bitcoin—an amount that could power 325,000 homes. And it will only get worse. A single mining operation in China has 25,000 machines running. The vision is this: a currency that’s beyond the reach and vicissitudes of any central authority, that can offer privacy, that’s a scarce resource (hence mining), and that resides on a robust, distributed worldwide network. But many think it isn’t really viable as a currency. That’s because of the price volatility, because people tend to buy and hold rather than use as a currency, because of the energy costs, and because bitcoin can only handle about four transactions per second. This is one reason other cryptocurrencies have sprung up. Some are being designed to be much more effectively used as currencies, capable of handling tens of thousands of transactions per second and using means other than energy-sucking computer farms to constrain supply. As of the end of 2017, there were nearly 1,400 different cryptocurrencies. In addition, 2017 saw the advent of “initial coin offerings,” modeled after initial public stock offerings. These have become a way of raising venture capital outside the regulatory process. Offerings coming up in 2018 include new services such as a decentralized long-term rental platform, a cryptocurrency payment system for buying and selling intellectual property, a cryptocurrency for travel rewards programs, and one for sports betting. Also, in 2017 major exchanges jumped into the bitcoin action and began offering bitcoin futures contracts. Investors could now make money on bitcoin with having to own it. I see two things happening. One is greed. People are joining the cryptocurrency bubble hoping to make money. But the other is more striking: people seem to have reached a point where they trust computer algorithms more than they do governments. We sometimes forget that money, even precious metals, really gets its value from consensus: it’s worth something because everyone believes it’s worth something. Money today is created by fiat by governments, and there are many associated issues, such as value relative to other currencies, inflation, and the hegemony of elite financial institutions and individuals. It’s messy. Imagine a fluid worldwide currency that moves effortlessly across borders, that flows without costly intermediaries, that creates a stable exchange, and that by using robust technologies such as bitcoin’s blockchain (a completely transparent ledger of transactions that’s stored by all bitcoin users) is nearly immune to criminal manipulation. The cryptocurrency bubble could burst at any time, but it could also be a metamorphosis to a new medium for creating a more orderly worldwide exchange of goods and services. Time will tell.